In stock! We have 7 of these ready for immediate dispatch or more available on demand. 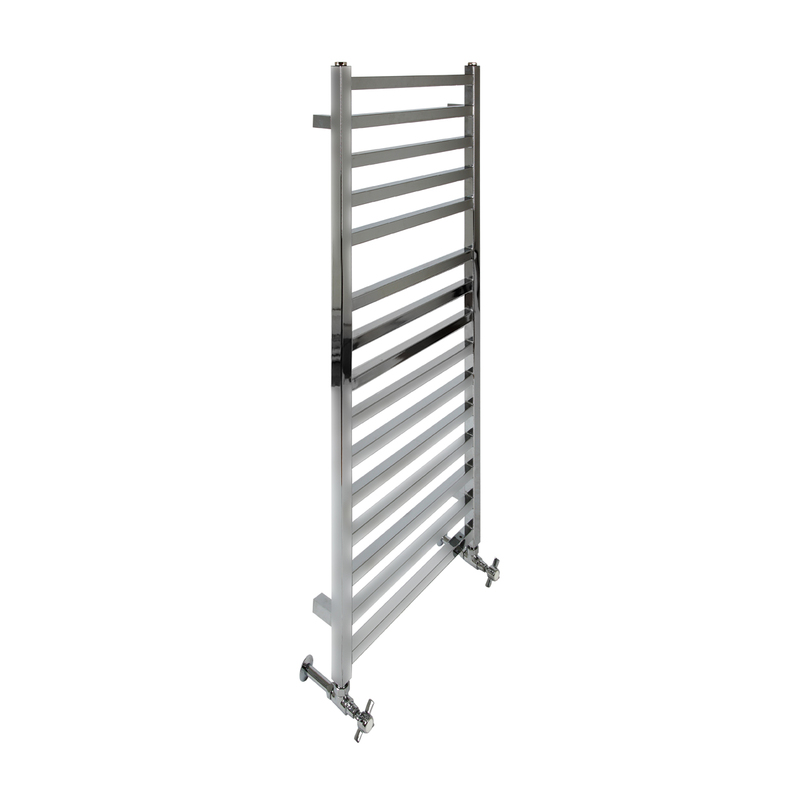 500mm wide and 1165mm tall this chrome plated steel ladder design towel radiator. Perfect for small shower rooms or en-suites. Chrome plated steel ladder design towel radiator. 500mm wide, 1165mm tall and 85mm deep. Structured and linear in design. Add some glamour to your bathroom. Perfect for small shower rooms or en-suites. Made in Europe.